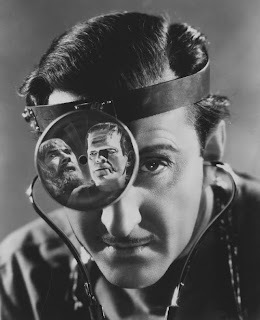 Basil Rathbone checks out Ygor and the Monster in "Son of Frankenstein". "If you're good, I'll give you a lollipop!" 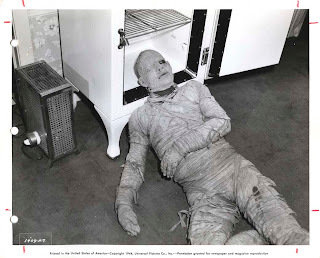 Lon Chaney, Jr. cools himself by taking a nap in a refrigerator during the filming of what I think is "The Mummy's Curse". How do you stop a Monster? Just hire Buffy Summers for the job! "I have kung fu skills." "Don't even try to mess with me." 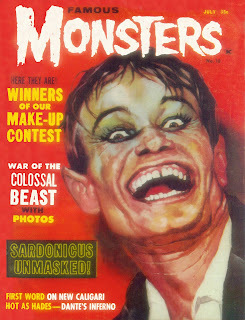 "Nosferatu has nothing on me!" 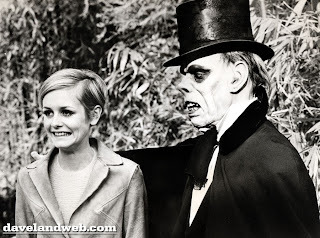 Dracula's Daughter pays her respects to her father. 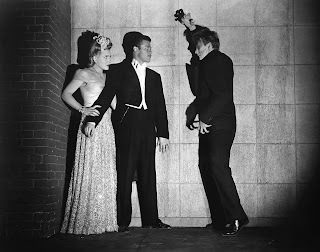 This is the result of Leo G. Carroll and his formula in "Tarantula". 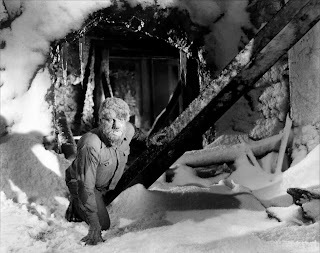 The Wolf Man searching the frozen ruins of Frankenstein's grounds in "Frankenstein Meets the Wolf Man". 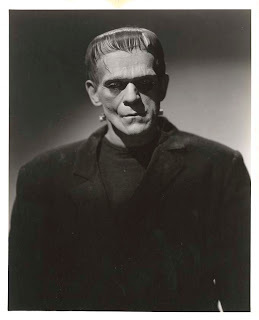 A terrific portrait of Karloff as the Monster in "Frankenstein". "Take a picture... 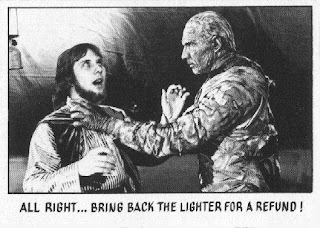 It'll last longer." 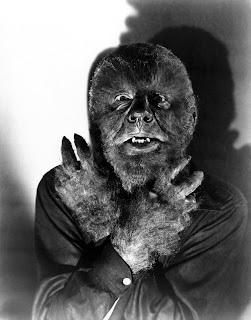 A classic portrait of Lon Chaney, Jr. the final time he would portray the Wolf Man in "Abbott and Costello Meet Frankenstein". 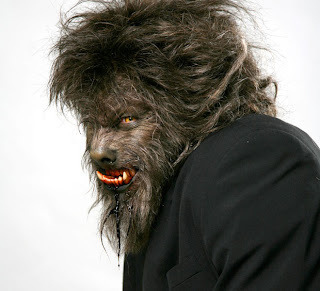 This part of "Werewolf of London" always reminded me of "The Invisible Man". 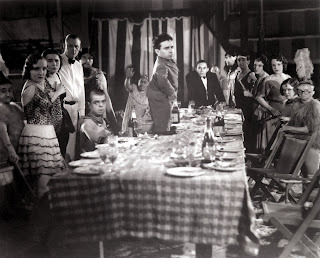 "Two orders of burnt toast and a rotten egg." 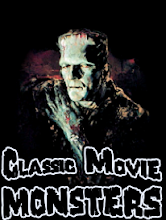 If you can believe it, there are still some Universal Monster movies I have not seen. 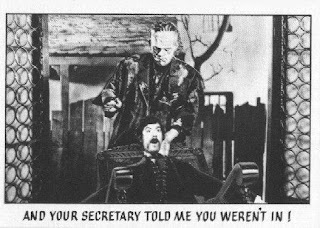 "The Mad Ghoul" is one of them. "I just wanna dance with your girl!" 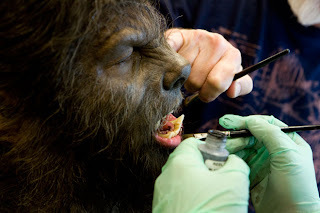 Today Dwight Frye would have been 111 years old. He died in 1943 at the youthful age of 44. 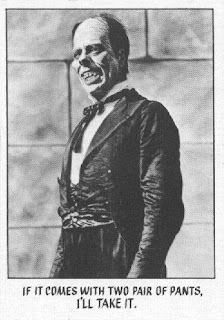 Too young for such a terrific actor who had his most memorable performances in "Dracula" and "Frankenstein". 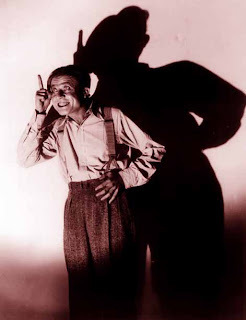 Dwight Frye as Fritz in "Frankenstein". 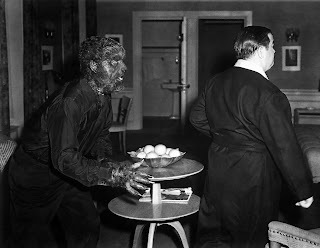 The Wolf Man stalks Wilbur in "Abbott and Costello Meet Frankenstein". 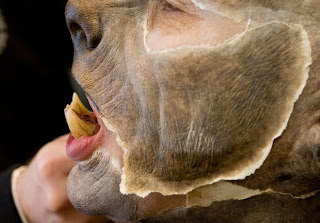 Jessica Lange is frightened of the giant gorilla, but by the end she will love him. A very handy way to relax. 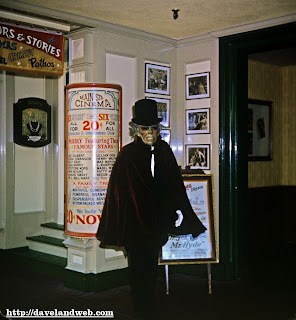 Thank you to Dave from Davelandweb for posting these amazing photos of the Phantom of the Opera at Disneyland. 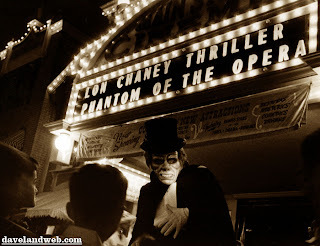 The Main Street Cinema used to play old silents like "Phantom of the Opera" and "Dr. Jekyll and Mr. Hyde". 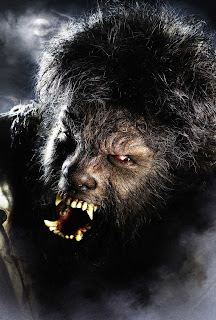 To promote these films, this guy would be walking down Main Street. 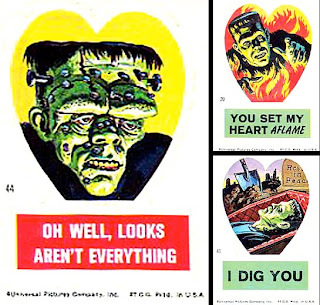 I wish they still did this today! "Mickey Mouse can't save your children!" "Come inside and see me!" 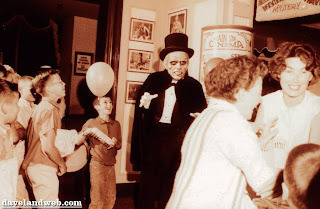 Be sure to visit Dave's Disneyland Blog! 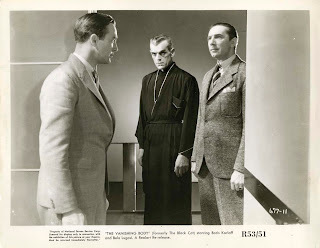 Karloff and Lugosi together in "The Black Cat". Imagine running into those two. 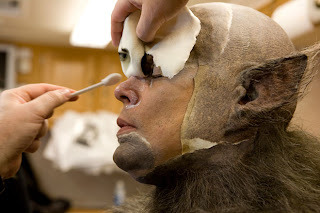 Let's go behind the scenes and see how Rick Baker turned Benicio Del Toro into a Wolfman. 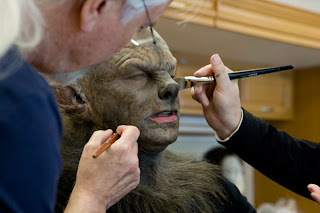 Go to Wired.com to read the full interview with Rick Baker! Angelo Rossitto was born this day in 1908. His films were always fun to watch. 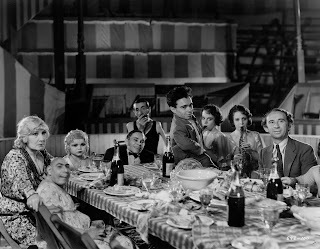 Here are some shots from my favorite Rossitto film: "Freaks"! That's Angelo under the stairs! I believe this was a toy from the 1960s where you could project pictures onto the wall. 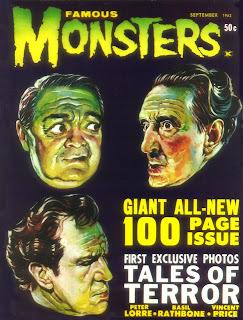 I love these drawings of the monsters. 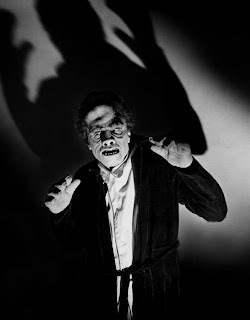 Boris Karloff from "Bride of Frankenstein". 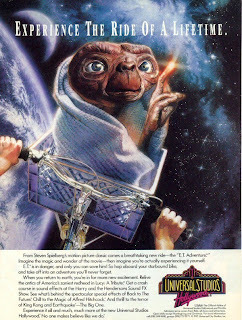 Here is an ad for the E.T. ride at Universal Studios. It was a very fun ride. I wish it was still there. 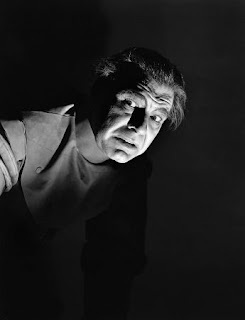 Lon Chaney, Jr. as the "Man Made Monster". Watch me shock the viewers! 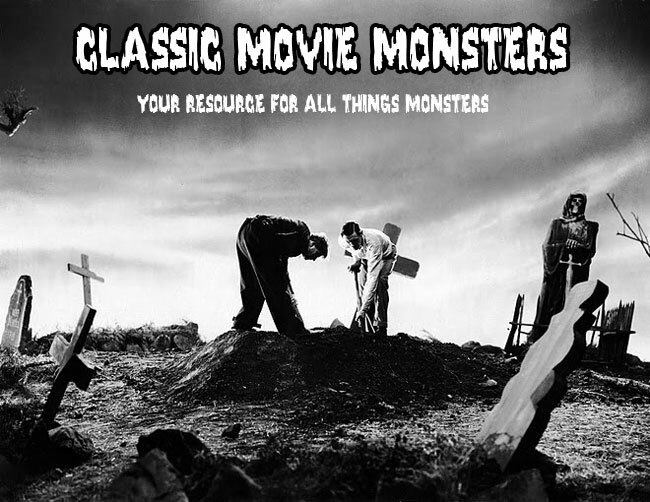 Frankenstein and Ygor go for a stroll in the woods in "Ghost of Frankenstein". 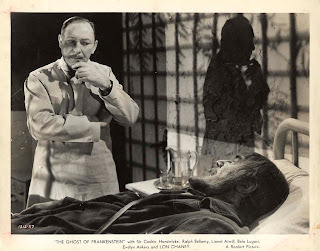 Lionel Atwill has prepared everything for Lugosi's new look. 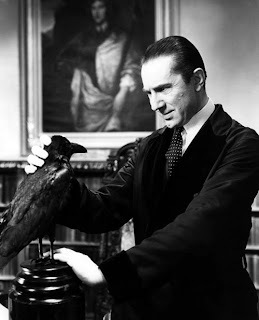 Bela Lugosi and his friend in "The Raven". 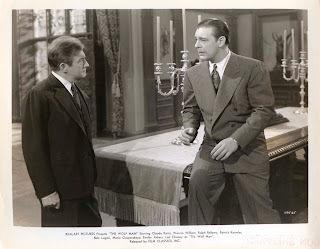 Claude Rains listens to Lon Chaney, Jr explain how he was bit by a wolf in "The Wolf Man". 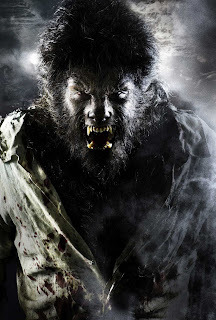 "The Wolfman" opened today in theaters. I saw it this morning at 11:30 and I was pleasantly surprised. It was better than I thought it was going to be. 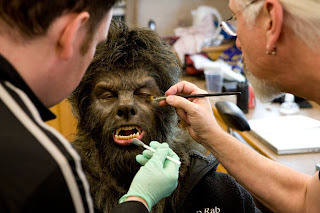 The best part of the film was the incredible make-up by Rick Baker. He takes a bite out of crime. Godzilla vs. The 500 Foot Woman! 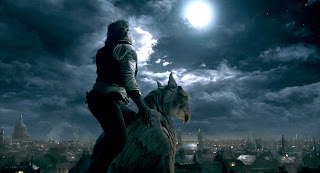 What happens after midnight in London?